CEM Discover SP-1271A Microwave Synthesizer & Explorer 24 Autosampler & Software . New Life Scientific, Inc.
CEM Synergy software included. 90-Day Warranty. copy of CEM’s Synergy software. 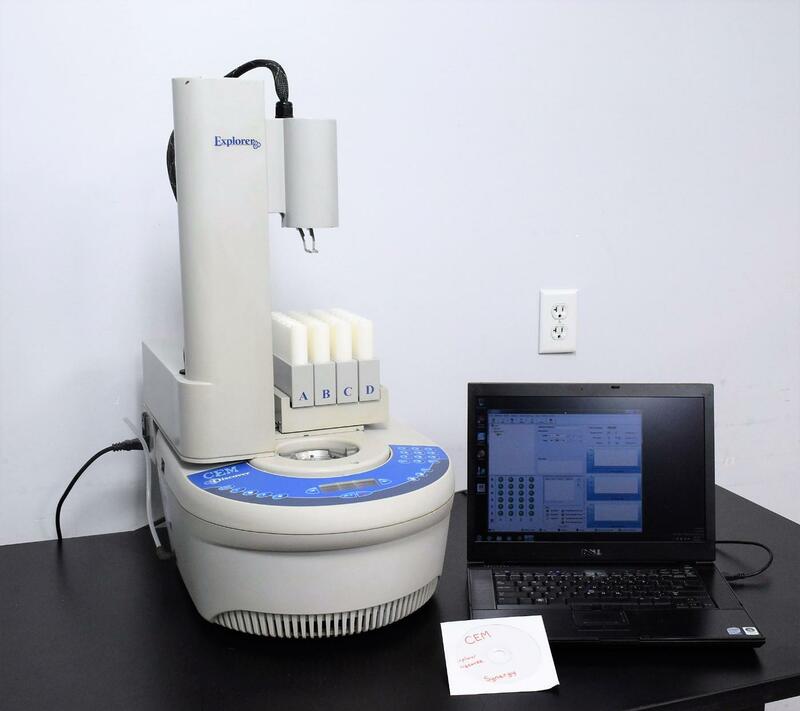 This system is in excellent condition and is ready for a space on your lab bench. and internal infrared thermometer are both functional. the wells into the microwave, and heat the samples by both a temperature setpoint or specified time period. signs of wear on the chassis. The user interface console is virtually flawless. *If desired, we will ship this system with a PC equipped with the Synergy software for a surcharge. Contact us for more details. Note: The end user will have to supply consumables, which are available from CEM. in-house support is only a phone-call away. consulting. We may be able to offer exchange or back-up units in a pinch.